Bosch drills have occupied a special spot in many a woodworking shop. No matter if you are an experienced woodworker or a beginner, if your tools aren’t working perfectly, there’s a chance of injury or a destroyed project. While there are a number of drills available on the market today, Bosch is one of the brands that always seems to maintain top performance. There are a number of models available, with various accessories and features. Powerful motors keep your drilling tasks simple, but the drills are also lightweight and are made to last. There are a number of reasons to choose this brand over some of the other brands. The Bosch name is synonymous with quality and durability. Bosch has been in business for over 100 years and you really don’t have to worry about wasting your money on a tool that will break quickly. One of the reasons for this is that the Bosch drills have a Durashield casing. This flexible, but very tough casing can withstand drops from as high as ten feet without any damage to the interior parts. The power you’ll feel in your hands with Bosch is quite impressive. You won’t have to exert a lot of effort and strength to pass through the harder woods. You may notice that you’re less tired and fatigued after using a Bosch drill than you are with drills made by other manufacturers. My first Bosch drill was a 9.6v cordless which I still have, but after 25 years the battery is past its sell by date. Bosch cordless drills are powered by the Blue Core Battery. There are a number of positive aspects to these batteries. For one thing, it has its own cooling system. This battery consistently performs exceptionally well. Bosch has managed to cut the charging time to only 30 minutes, less than half of what it once was. Another plus is that you can store it in a warm shop and there will be no energy loss. One thing is certain – a drill is only as good as its drill bits. Bosch makes a variety of sizes, shapes, and lengths of drill bits to be used for a variety of applications and materials. 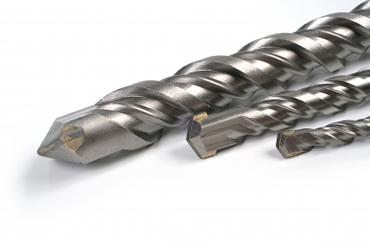 Different types of drill bits include the standard twist, spade bits, Forstner bits, and auger bits. The material the drill bit is made of can vary, as well. Different coatings can be used, too, which can increase the durability, strength, and sharpness of the bit. For example, materials for drill bits might include steel, titanium, or cobalt. For those looking for a quality drill and drill bits Bosch are a great choice. Powerful enough for exceptional performance, but light enough to prevent strain and fatigue, these drills are ready for anything you want to tackle. The variety of bits available will ensure that all your woodworking tasks are completed quickly and you may be surprised at how long Bosch power tools will be a part of your shop. There are some big reductions on Bosch Tools , probably because of these troubled financial times which is probably the best time to buy them too. Tool King and Tyler Tool are pretty good too. You can find them in the right hand column. I must not forget Amazon who are always very competitive.